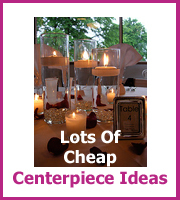 Choosing to make a wedding centerpiece with floating candles is fairly easy as they only really need a glass container and water and you are done. But obviously with it being your wedding you don't want to leave it at that. 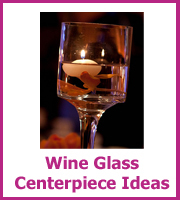 There are lots of ways to make this centerpiece stunning. Choosing to have candles as part of your wedding decorations are a great way to add a sparkle to the tables, especially if you are having an evening reception or your wedding is in the winter months. It is important to ask your venue if they will allow candles at the tables, as some don't, you don't want to have a nasty shock just before your big day. 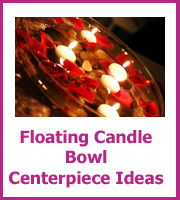 If your venue is one of them you can now get very realistic LED floating candles and they will last longer than the real thing so you may not need as many. 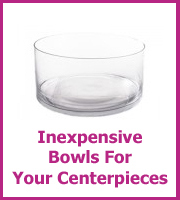 Click on the images below to see lots of ideas and photos for inspiration. 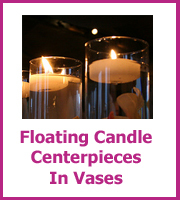 Avoid floating candles that are too scented as this can over-power the room and change the taste of the food! However there will be venues that you may want to use scented candles to help! Some of the more subtle scents such as cinnamon and berries would be ok but remember that there will be a lot of candles. 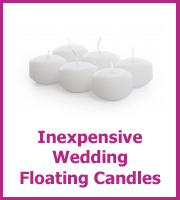 You will need to buy more floating candles if your wedding reception is during the day and evening as the candles will only have a certain amount of burning time. Normally they last for about 4 hours. Check with the supplier as to how long and if necessary have a willing volunteer to be in charge of replacing the candles just before the start of the evening. 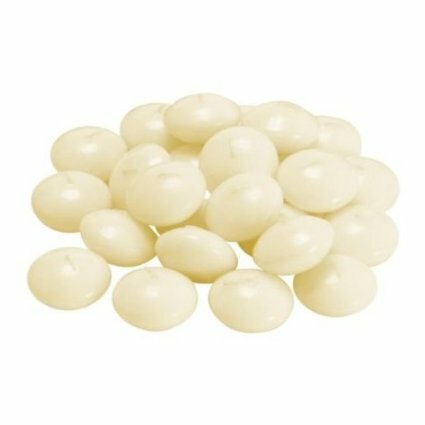 Don't go too cheap on your floating candles as you could end up needing a lot more than if you had bought the ones for slightly more. Amazon has a great supply of candles in nearly every color of the rainbow.